That little purple bit is the area we've explored so far by boat: Olympia, Seattle, Hood Canal, Puget Sound, San Juan Islands, and some bits of the Gulf Islands in British Columbia. Over 1500 nautical miles total have been spent cruising the Pacific Northwest waters. 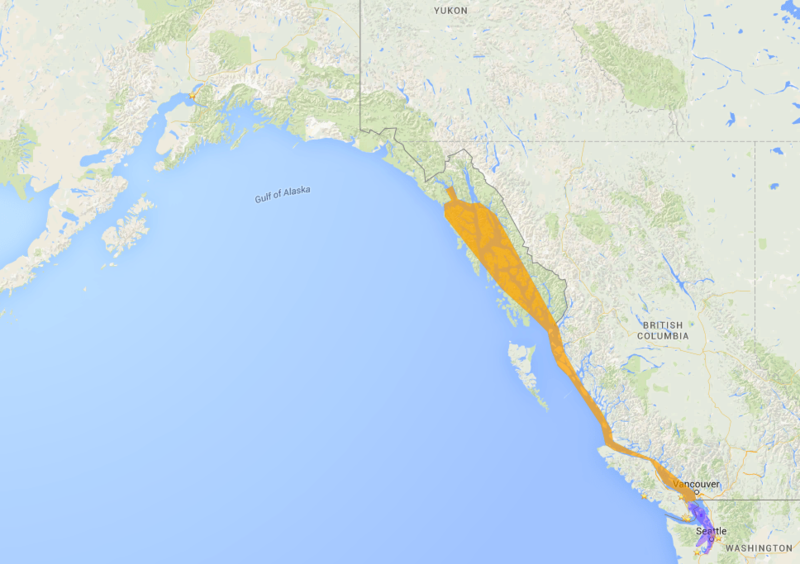 That huge orange area is roughly the area we'll be exploring by boat from Anacortes to Juneau (and maybe as far north as Glacier Bay) this summer.